The inMotion Network of clinics is offering a cost-effective hip and knee rehabilitation program following hip or knee replacement surgery. We are sensitive to the government closure announcements of hospital-based physiotherapy departments and are ramping up to assist Manitoban’s in the transition from public to private care. We will accommodate to allow equal access for all and anticipate will improve access by offering timely care. Optimizing post joint replacement surgical outcomes and accelerating your recovery can be achieved through physiotherapy and related services. The program will start with individualized one to one physiotherapy or athletic therapy care. Once the patient is safe to participate and advanced enough in their care they will be eligible for a small group supervised rehabilitation exercise class. The classes are designed to offer patients an exercise program supervised by a kinesiologist or athletic therapist providing they are past the sub-acute phase post-surgery. The program is offered at a price point affordable by most that do not have third-party private insurance coverage, a health spending account or the financial means to access regular one to one visits. Occupational therapy and dietary services will be offered on a consultation basis one on one with the patient if needed. Each class will be 60-75 minutes in duration encompassing both hip and knee replacement participants. 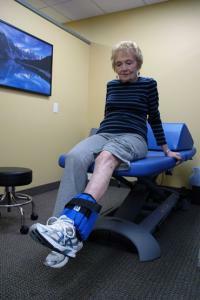 Patients can access the class at any given time over the course of the program. Classes will be supervised with individual care when needed. 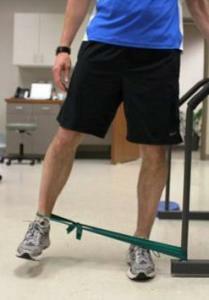 Patients will rotate through a circuit of exercise stations. Patients are expected to arrive 10 minutes early and bring their own gym attire, water bottle, towel and proper footwear. 2 classes per week will be offered for a recommended 4-6 weeks. Additional weeks or individual classes can be added if necessary at patient’s request or therapist recommendation. Small classes offering low therapist to patient ratios providing close supervised care. A minimum of 2 and a maximum of 5 participant requirement at each clinic location. If a minimum number of participants are not met at a specific clinic location, participants will go on a wait list or referred to another inMotion clinic location where the classes are being offered.